There are several tools that can be used for general maintenance and configuration of Veculim. Some of these tools can be accessed in the Tools Menu. This tool is used to reset all windows back to their original (default) size and location. If for some reason, your window is out of alignment, this tool could be used. This tool can be used to customise the programs font style and size according to your liking. Please note that you might need to adjust your font according to your screen size and that some fonts, styles/sizes may not be able to be used. This tool is used to view all emails that have been sent from Veculim. 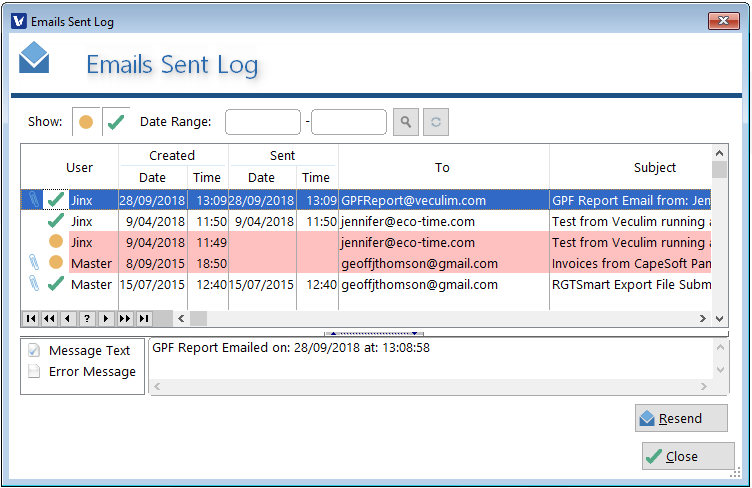 An Email Sent log will be displayed, detailing the information of each email sent directly from Veculim and to whom it has been sent.. The option to Resend the Email is built in where you can change the Email address and the subject. 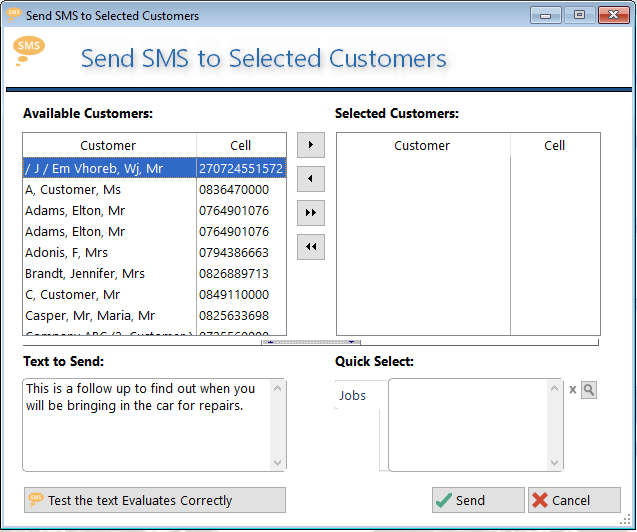 This Tool is used to view all SMS's that have been sent from Veculim. 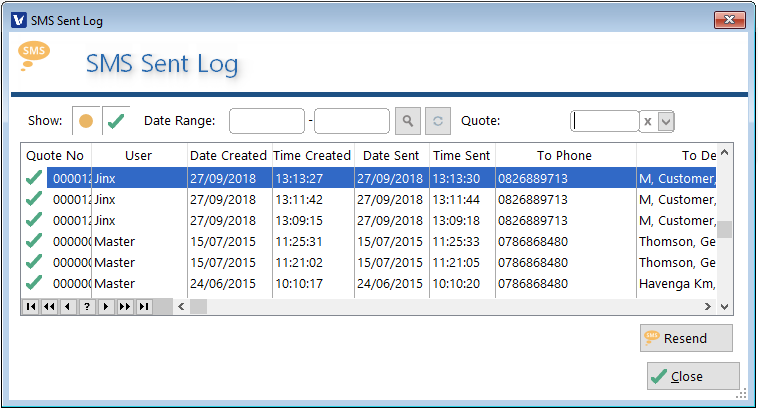 An SMS Log will be displayed detailing information of each SMS sent. This Tool is used to send bulk SMS's out to clients for a specific reason. Example: You are running a special and would like to let your Customers know, you can then make use of this window. 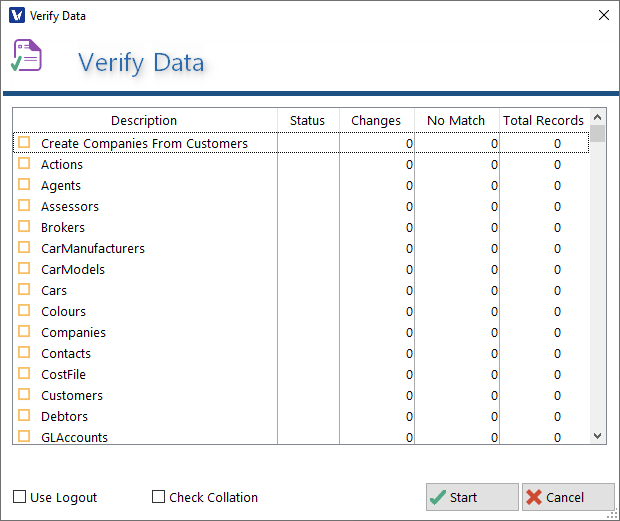 This tool is used to verify all data links are in order. Simply click start to verify.